Caption: More than 500 staff from Zulekha Healthcare Group took part in Sharjah Electricity & Water Authority’s ‘PEAK HOUR’ initiative on 1 July. 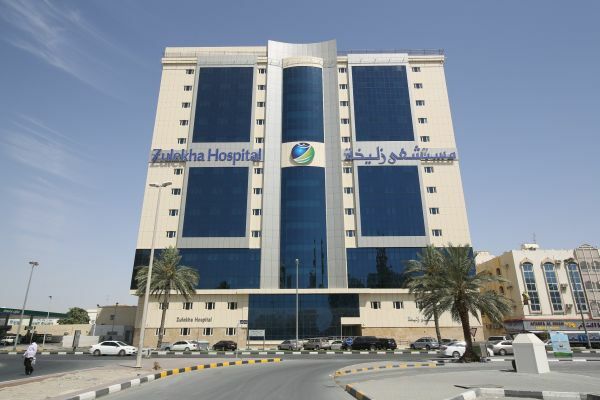 Zulekha Healthcare Group will use experience gained during the ‘PEAK HOUR’ energy saving drive in Sharjah to increase the efficiency of its electricity and water consumption. More than 500 staff at the Zulekha multidisciplinary hospitals in Dubai and Sharjah took part in last week’s initiative, which was launched under the instruction of His Highness Sheikh Dr. Sultan bin Mohamed Al Qassimi, the Supreme Council Member and Ruler of Sharjah. With posters placed throughout the hospitals on behalf of the Sharjah Electricity & Water Authority (SEWA) to increase awareness of the One Saving Hour initiative on 1 July, a major effort was made by all to use minimal lighting in the hospitals and switch off unused equipment and devices. Zulekha Healthcare Group pays conscious efforts in selecting and procuring Energy Efficient Medical Equipment, Mechanical Equipment and also low power consuming LED lights within its hospitals. “As a responsible healthcare provider, we recognise the importance of SEWA’s commitment to a sustainable lifestyle beyond the hour and willingly turned off any unused equipment and lighting on 1st July to mark the inaugural ‘PEAK HOUR,” said Taher Shams, President of Zulekha Healthcare Group. “Zulekha Healthcare Group, a member of the Sharjah Electricity & Water Authority energy team, pays close attention to the demand for both electricity and water which is ever-growing and requires huge investments. The aim of the One Saving Hour Initiative which will now take place annually on 1 July, is to promote the conservation culture and raise community awareness about rational use of electricity and reduction of toxic emissions. The initiative is intended to inform and educate customers on the importance of avoiding the use of electrical appliances and devices during peak hours. The One Saving Hour is one of several campaigns launched by SEWA throughout the year to spread awareness on conservation, protecting the environment and building a sustainable future for the Emirate of Sharjah. Zulekha Healthcare Group also recently commemorated World Environment Day by embarking on a series of committed initiatives with its patrons and staff, together taking the pledge to save planet earth for the sake of future generations. Over three days, Zulekha hospitals in Dubai and Sharjah actively embraced the “Think Green, Stay Green” environmental drive as part of its ongoing sustainability programme. Patrons joined management and staff at a tree planting ceremony outside Zulekha Hospital in Sharjah to symbolise the commitment to environmental care by Zulekha Healthcare Group.